Since the official release of Windows 10 Creators Update last month, Microsoft has been working on the next major upgrade to the operating system. 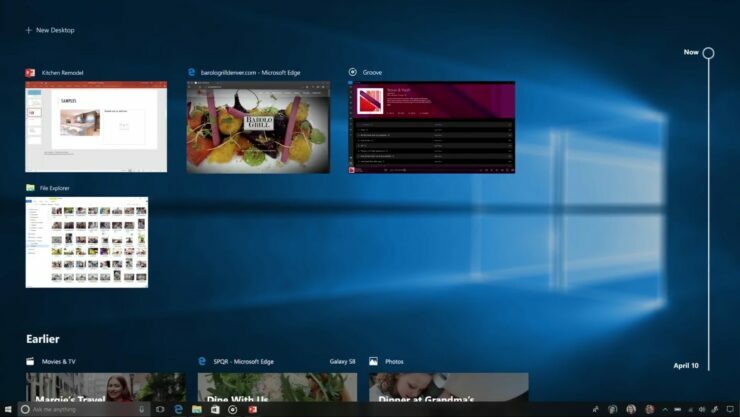 Dubbed Windows 10 Redstone 3, Microsoft has today announced that the next version of Windows 10 will continue focusing on creativity, giving it the title of Windows 10 Fall Creators Update. At the day 2 keynote of its Build 2017 Developer Conference in Seattle, Microsoft announced the next major update for Windows 10. Coming to the public later this year, Windows 10 Fall Creators Update is codenamed “Redstone 3″ and Insiders have already received a handful of preview builds. Windows 10 Fall Creators Update is expected to be a bigger update than the Creators Update, bringing new design (more here) and some major changes and feature improvements to the operating system. Among the most notable features and improvements planned for Windows 10 Fall Creators Update includes the new Project Neon design – which is now being called the Microsoft Fluent Design System. Microsoft’s Fluent Design System will change several corners of Windows 10 bringing an intuitive user experience. So far the Fluent Design System has focused a lot on animations, transparency and blur effects. Microsoft today said that the new design will evolve over time with future iterations of Windows 10. Microsoft Fluent Design System: Built to deliver intuitive, harmonious, responsive and inclusive cross-device experiences and interactions. Timeline: Travel back in time with Timeline which will let you jump back in time to find what you were working on, whether it was 2 hours or 2 months ago. Easily hop back into your files, apps and sites as if you never left. Pick up where you left off: Now extended to Android and iOS. Save your disk space: Access your files in the cloud without using storage space on your device with OneDrive Files On-Demand. All your files can be seen in File Explorer and accessed on-demand whenever they are needed. Story Remix: Story Remix makes it easy to use photos and videos to bring your memories together into a video – with a soundtrack, transitions and 3D objects. Even personalize it with Windows Ink. So far the next update has been touted as the biggest feature release planned for Windows 10 since its launch in July 2015. However, the name “Fall Creators Update” will definitely make things a little confusing when a major feature upgrade carries the same name as a previous update. This could also show Microsoft’s naming strategy going forward as we will receive two feature updates every year, with both of them probably carrying similar names. Windows 10 Redstone 3 is currently in the development phase with Insiders in the Fast Ring getting regular test builds. Microsoft is expected to publicly release Windows 10 Fall Creators Update later this year in September/October.